Success! Maxwell from Malawi raised $733 to fund prostate surgery. Maxwell's treatment was fully funded on January 7, 2019. Maxwell is feeling great after his surgery. He is very much looking forward to returning to his work. He will be able to help support his large family by helping out on his family farm again. 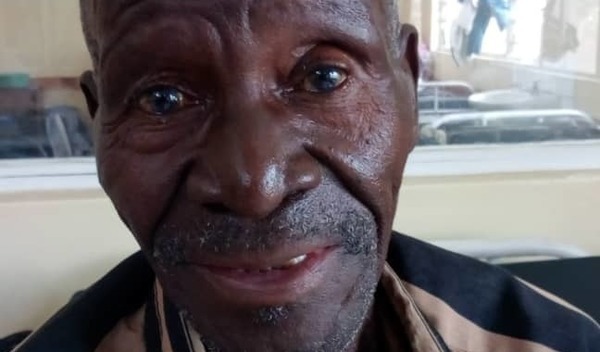 Maxwell is a retired builder from Malawi. He has seven children and ten grandchildren and enjoys chatting with his friends in his free time. He also enjoys working on his family farm to help support his large family since retirement. Since 2014, Maxwell has been experiencing pain and urinary difficulty. These symptoms are caused by an enlarged prostate, a condition called benign prostatic hyperplasia. He needs to undergo a prostate resection surgery, a procedure in which surgeons will remove part of the enlarged gland. Our medical partner, World Altering Medicine, is requesting $733 to fund Maxwell’s surgery. On November 8, he will undergo prostate surgery at Nkhoma Hospital, our medical partner’s care center. The requested money pays for supplies, medications, and two weeks of hospital stay. He has been waiting for five years to receive this surgery, which he knows will make a huge impact on his life. Maxwell's case was submitted by Angela Quashigah at World Altering Medicine in Malawi. Maxwell was submitted by Angela Quashigah at World Altering Medicine, our medical partner in Malawi. Maxwell's profile was published to start raising funds. Maxwell received treatment at Nkhoma Hospital. Medical partners often provide care to patients accepted by Watsi before those patients are fully funded, operating under the guarantee that the cost of care will be paid for by donors. Maxwell's treatment was successful. Read the update. Maxwell's treatment was fully funded. Rom is a 68-year-old rice farmer from Cambodia. He has two children and three grandchildren, and in his free time he likes to watch television and listen to the monks pray on the radio. 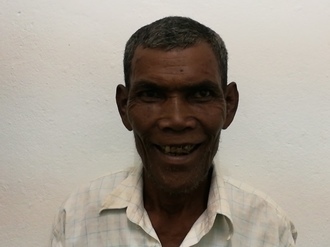 Two years ago, Rom developed a cataract in each eye, causing him blurry vision and vertigo. He has difficulty seeing things clearly, recognizing faces, and going anywhere outside. When Rom learned about our medical partner, Children's Surgical Centre, he traveled for three and a half hours seeking treatment. On April 1, doctors will perform a small incision cataract surgery and an intraocular lens implant in each eye. After recovery, he will be able to see clearly. Now, he needs help to fund this $398 procedure. He says, "I hope that after my surgery, I will be able to help my daughter take care of her children and attend events at the pagoda." Olive is a businesswoman from Kenya. She is married and a mother of four kids. Three months ago, Olive began to experience troubling symptoms, including swelling on her neck. She has been diagnosed with a multinodular goiter. She needs surgery to prevent her symptoms from getting worse. Our medical partner, African Mission Healthcare Foundation, is helping Olive receive treatment. She is scheduled to undergo a thyroidectomy on April 15 at our medical partner's care center. Surgeons will remove all or part of her thyroid gland. This procedure will cost $625, and she and her family need help raising money. “I hope Watsi will support me so that I can get well and continue tending for my family,” said Olive. Abigael is a young girl from Kenya. She is the sixth born of seven children. Abigael has been diagnosed with hydrocephalus, a condition in which excess cerebrospinal fluid accumulates in the brain and increases intracranial pressure. As a result of her condition, Abigael has been experiencing an increasing head circumference. Without treatment, Abigael will experience severe physical and developmental delays. Our medical partner, African Mission Healthcare Foundation, is requesting $685 to cover the cost of surgery for Abigael that will treat her hydrocephalus. The procedure is scheduled to take place on March 28 and will drain the excess fluid from Abigael's brain. This will reduce intracranial pressure and greatly improve her quality of life. With proper treatment, Abigael will hopefully develop into a strong, healthy young girl.